Scope is well known as a disability charity. But now it's going to change to become a social purpose organisation. Chief executive Mark Atkinson explains how. The question of ‘relevance’ is pertinent to many charities and not-for-profit organisations. It is certainly a question facing parts of our sector. For Scope, we found the answer by redoubling our focus on our core purpose. Scope’s mission is to achieve an equal society in which all disabled people have the same opportunities as everyone else. This means our focus must be on achieving structural change within society—influencing public policy, law, markets and attitudes. So now Scope has chosen to become a mission-led social business. We will focus resolutely on core mission and stop or exit or transfer everything else. Over the coming months we plan to transfer all our regulated and day services to other experienced providers who will invest, develop and grow them over the coming years. Much of the estate and current services offer that was built over the decades following our foundation will no longer be part of the organisation. In transferring, we hope to secure the future of these valued services—they do after all deliver great outcomes to those that use them but it would be difficult to argue they achieve Scope’s core purpose of everyday equality for all disabled people. This move will also allow Scope to refocus on doing less, reaching more and having greater impact. It will, however, mean an initial reduction in our annual income by 40% and see the number of employees reduce by two thirds. Scope was created just a few years after the end of the Second World War, a time of great austerity and yet great optimism. Three pioneering, ambitious and determined parents and an equally courageous social worker came together because they shared a dissatisfaction with the education available to their own children, and others with cerebral palsy. Their demands were far from unreasonable — in essence, they wanted an opportunity for people with cerebral palsy to access education and employment and to have an equal place within society. The founders of Scope built an organisation that grew exponentially. The National Spastics Society (as it was known originally) quickly achieved many of the hallmarks that we often recognise in today’s large charities — a compelling vision, proposition and reason to support; a strong voluntary income stream; a large individual membership base; celebrity endorsement; and a growing base of services used and valued by its ‘beneficiaries’. Over the decades that followed there were challenges, not least of which was the battle to hold onto the initial entrepreneurial spirit when the realities of large scale delivery kick in. And large scale it was. At its peak the Football Pools of the Spastics Society sold six million tickets a week, providing 42% of its income. As a result, it was opening new services—schools, colleges, residential care homes, sheltered employment services—at an incredible pace. The Spastics Society changed its name in 1994 both to reflect changing times and to reposition. The word ‘spastic’ had become a term of abuse often bandied around the school playground. But the new name Scope was also a tentative move towards being an organisation focused on tackling the common barriers faced by all disabled people and not solely those with cerebral palsy. Fast-forward to more recent times and the key question facing Scope is: what is its relevance to disabled people in 2017? The truth is that the world has moved on. Disabled people’s aspirations have changed. The notion of ‘charity’ is seen by many to undermine disabled people’s rights. 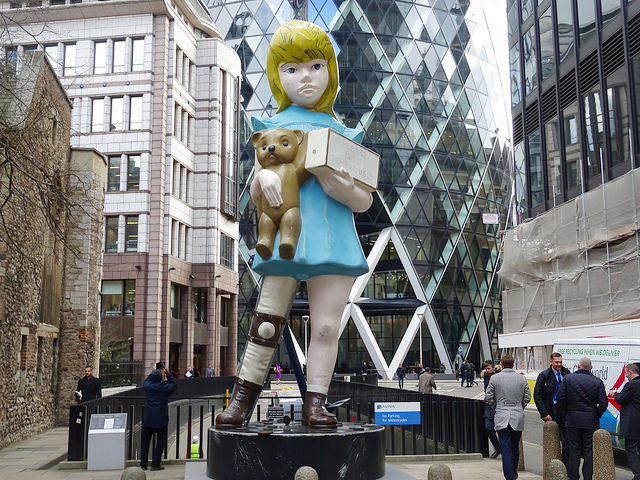 Yet Scope was left with a patchwork of different services that had been established over seven decades, geographically scattered across the UK, which collectively reached just a few thousand disabled people. Its award-winning campaigns and advocacy work—including powerful attitudinal campaigns—largely lived in a different universe. It was with this question of ‘relevance’ at the front of our mind that we embarked on a soul-searching process of developing new strategy. We knew that the conclusion had to be radical if we were to become relevant to a far larger proportion of the 13 million disabled people in the UK. There had been modernisation within the organisation in recent years but it was arguably driven by a dislike of what we had become rather than in pursuit of a positive vision of what we might be. Our most recent strategy to move away from delivering residential care in eleven of our largest and most outdated homes—which were established in the boom days of the National Spastics Society—was unquestionably a positive move. The issue was there was no specific or defined sense of ‘what next’. We want to be known for being a social change organisation—a force that brings us ever closer to everyday equality. We will focus on the areas in which disabled people face the greatest barriers and move away from being a charity that ‘does’ to one that ‘facilitates’. We want to create the platform that allows disabled people, through Scope, to drive change. Our direct offer to disabled people and their family will be a small suite of products and services that build resilience, skills and knowledge. They will be there at key moments in a disabled person’s life, and they will largely be delivered through digital channels and centred around information, advice and support. At the same time, we will seek to influence public policy, change attitudes, disrupt markets and improve the structures within society by ensuring the needs and experiences of disabled people are front and centre. We no longer believe that acting as a sub-contractor of the state is the best way to achieve our purpose. Our services will act as a demonstration of our policy solutions in practice and our customers will provide insight, evidence and data to drive our influencing. We no longer believe that acting as a sub-contractor of the state is the best way to achieve our purpose. So we will stop participating in statutory work programmes that offer limited room for innovation and personalisation. Instead we will work with our partners to design and deliver our own programmes. These will support disabled people to access and remain in work and at the same time influence the policies, procedures and attitudes of employers. The truth is that real transformation is difficult. To lead an organisation from one operating model to another can be really challenging, particularly when you are working on a finely balanced financial model with limited room for failure. It does of course become a question of risk appetite and is totally unachievable without a united board and management team who are prepared to work together to make the shift and to share the load. One of the most interesting, and difficult, parts of our transformation programme is around culture. The shift from the behaviours that you typically see in a highly regulated social care and education provider to those that you need in an agile mission-led social business that embraces innovation and risk. We want to be an organisation that attracts talented, values-driven people who can embrace new technology and who are motivated by social impact. Retaining the most capable and committed colleagues in this period of transformation is one of the hardest challenges. The principle of being driven and motivated by core purpose and social impact rather than income or size is important for others to learn from. Too often charities who claim to be radical and pioneering are in reality cautious and conservative and unable, or possibly unprepared, to take difficult decisions that are in the long-term interest of the organisation. The demise of the traditional fundraising model places ever greater pressure on charities to be transparent both about their cost and their impact. This has to be a good thing. There will definitely be losers—organisations that struggle to reform and who want to hold on to yesteryear. In the end it comes down to the reality that no charity has a right to exist and that support will gravitate to those with a clear purpose, who have relevance, that operate in contemporary ways and those who can demonstrate their social impact in a compelling manner. At Scope our work is not done because 65 years after our creation, everyday equality is not the norm for many disabled people. Many continue to face poverty and discrimination compounded by social attitudes and ignorance. Our obligation is to ensure that Scope is in good shape to tackle the barriers of 21st century Britain. We are proud of our history but the need to transform is obvious and that is a journey we have started. It is littered with risk but none greater than doing nothing and hoping for the best. Who wants to lead an organisation through a prolonged period of ‘managed decline’? Not me, and I am fortunate to head an organisation that has woken up to the reality that change is a constant and the sooner you take control and shape your own future the better. Tomorrow, charity think tank and consultancy NPC will publish Flipping the narrative: Essays on transformation from the sector’s boldest voices, a collection by 16 innovative leaders achieving social change for the causes and beneficiaries they exist to serve. 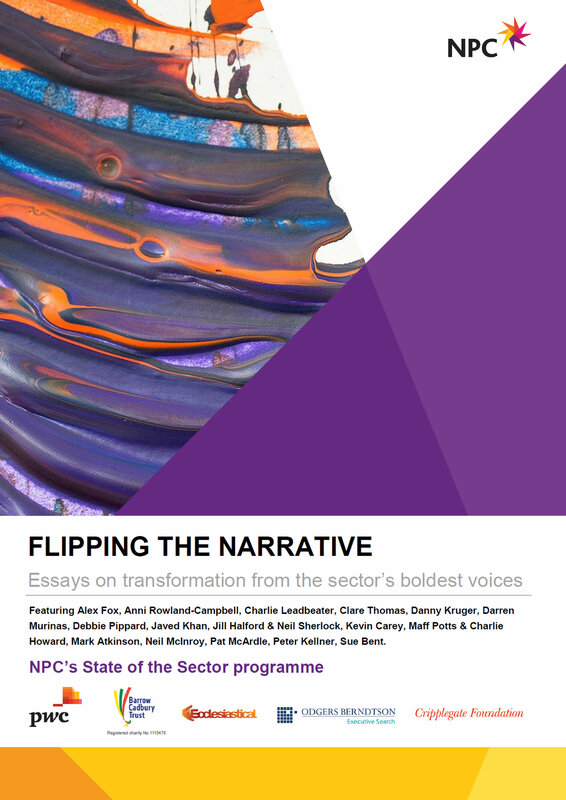 Part of NPC’s State of the Sector programme, the essays build off the research in Charities taking charge, which took the pulse of the charity sector by presenting qualitative and quantitative insights from around 400 sector leaders on how they are transforming their organisations to deliver greater impact. Trailing the full collection is the adapted essay above by Mark Atkinson, CEO of Scope, who will be speaking about achieving social change in the current climate at NPC’s annual conference NPC Ignites on 11 October 2017 (early bird rate end 31 August).